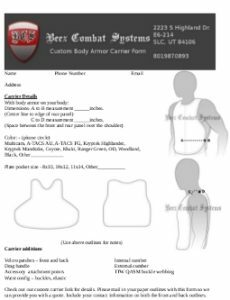 We make custom body armor carriers to fit your custom body armor. If you have a set of expensive custom cut armor and can’t find a carrier. We can make you one. Send us a paper outline of the armor and we can build a carrier that will fit like a glove. Our custom body armor carriers are available in multiple color options: MultiCam, MultiCam Black, A-TACS AU, A-TACS FG, Kryptek Highlander, Kryptek Mandrake, Kryptek Typhon, Coyote, Khaki, Ranger Green, OD, Wolf Grey, Woodland and Black. 2” straps provided sufficient material for the operator to comfortably reload. The over sized magazine straps allow the operator the ability to reload magazines without breaking eye contact with their target(s). 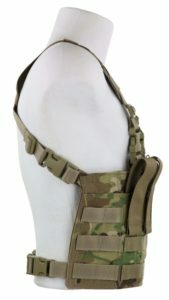 Just like other chest rigs available from Beez Combat Systems the PCC chest rig can also run the CRMB (Chest Rig MOLLE Belt) via the 1” buckles located at the waist. 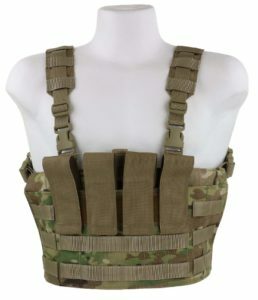 The CRMB allows the operator the option of more MOLLE real-estate for additional magazines or accessory pouches located where a combat belt would be worn. 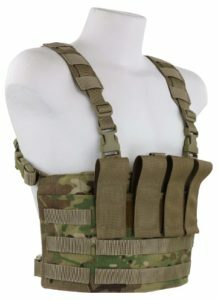 On both sides of the front of the chest rig additional rows of MOLLE webbing can be found if additional pouches need to be attached. The PCC is the lowest profile chest rig on the market for pistol caliber carbines and SBR conversions kits. The PCC also meets MIL-Spec thread and Velcro and has a variety of color options. 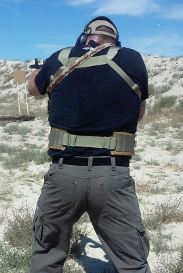 Check out the AK47 chest rig GRID being put to the test with a river bottom low crawl. 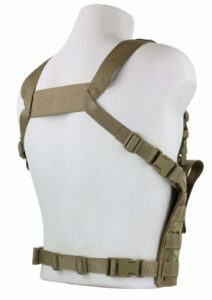 The AK47 Chest Rig GRID is available in the most popular 5 mag configuration. The GRID allows for backward compatible molle and malice clip pouch attachments.